My friends Yasmin, Bobby and James are worked hard to put on this great event! Art Fight 10, in conjunction with PACA, featured artists in a live painting competition, alongside dog adoptions. I paintied a portrait of a basset hound named Lilly. We helped find forever homes for Lilly and so many others. Painting! Pints! Pups! 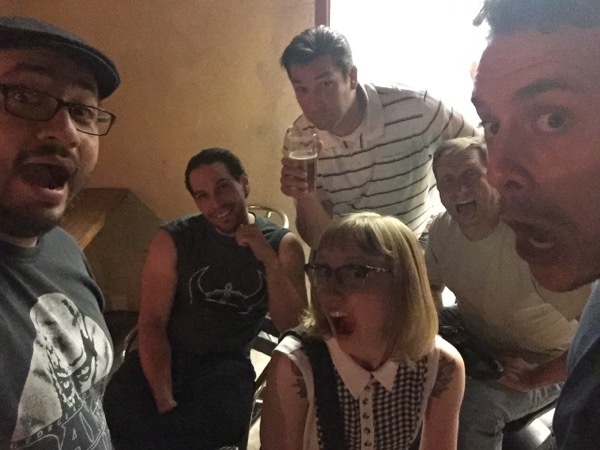 Get Your Geekon happens tomorrow at Sister Bar. It benefits Project Pinball, which helps get pinball machines into children's hospitals. There will be tons of arcade tournaments, raffles and prizes. 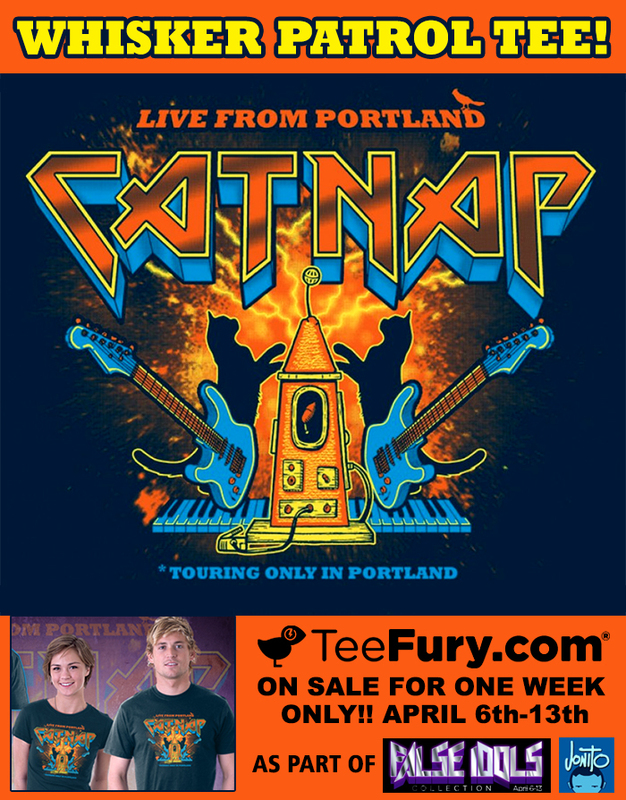 Jeremy and I will be raffling a bunch of our screen printed posters, with all proceeds going to Project Pinball. The Girls of Geek and Zero Point Parkour & Fitness will be there in support too. It's gonna be great!! This is the limited edition, glow in the dark movie poster I made for The Craft. The anniversary screening will be held at the Guild Cinema this weekend! It was a true honor to participate in CHM, and receive an award as a first time exhibitor!!! It was great to show my work alongside friends, and see all my family over the weekend. This was definitely the most difficult show to prepare for... But it was well worth it!! Last night I competed in the Art Fight at Tractor Brewery. I didn't win, or place, but it was a blast!! Big thanks to all my friends that showed up to support us. It was also a humbling experience... Lots of lessons to learn about live painting. I have a ton of respect for the artists I painted alongside... So much talent!! The random theme I picked from the hat was "Game of Toilet Thrones". SEND A RAVEN - REPRINT! 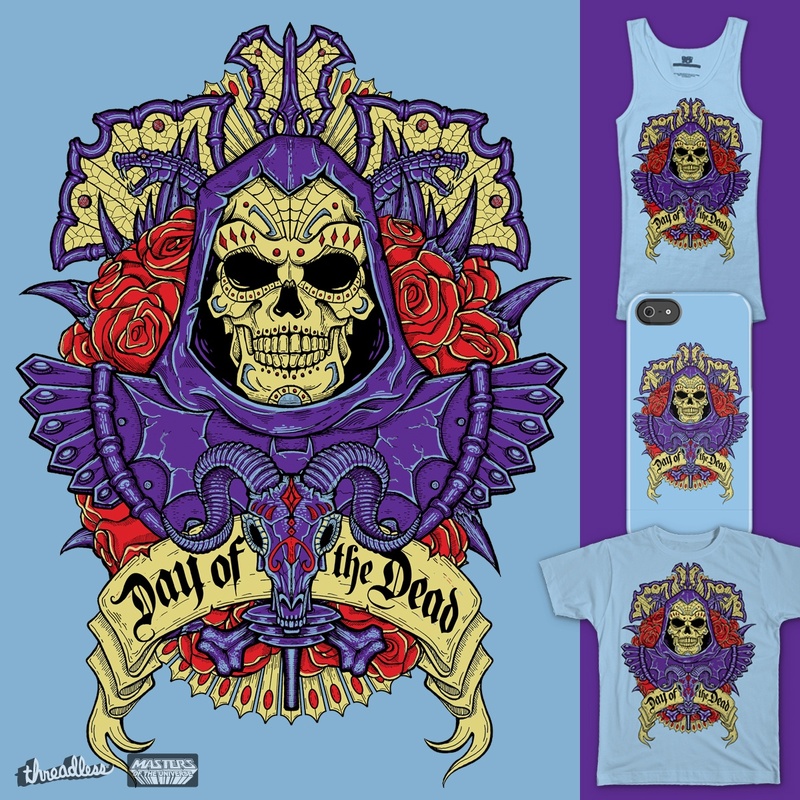 The kind folks at Qwertee have decided to do a special reprint of my "Send a Raven" tee! It will be available at a great price, for 24 hours only... starting right now! Phoenix Comic Con was so much fun!! It was really great to share my art with the attendees and make some new friends. A huge THANK YOU to all who came by my table to say “hi” and help support me. All signed up for PCC 2016. I’ll see you all then!! Hey everyone!! Here's my movie poster for the “Bubonicon Presents” screening of Star Trek IV: The Voyage Home, at the Guild Cinema. It shows tonight and tomorrow night. 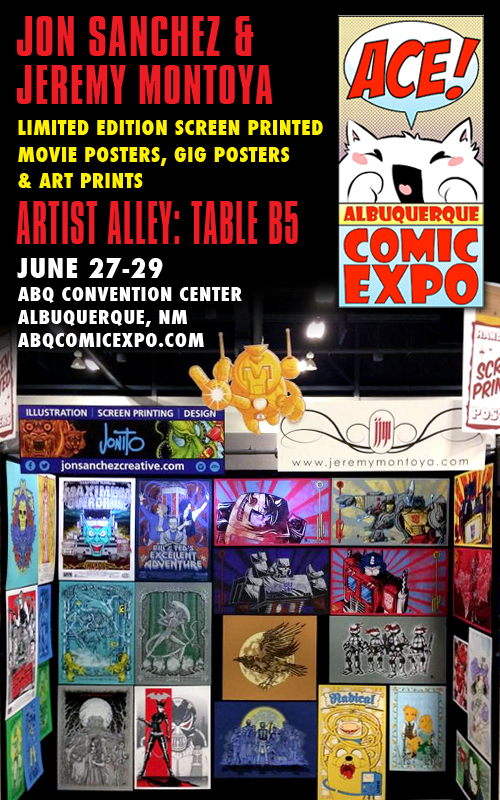 Proceeds from admission and poster sales will help benefit the ABQ Public Library Foundation. Please come show your support!! The poster is 4 colors, screen printed on Curious Metallic Galvanized paper, limited edition of 55, 17x23. Please join us for “Out of Time: an 80’s and 90’s Cartoon Art Show”. Over 40 local artists have come together to show artwork inspired by cartoons from their childhoods. The closing reception will take place Friday, April 10th the Downtown Contemporary Gallery. To see more of the artwork on display, please visit our Facebook event page. We sold a lot of artwork at the opening, but there is still so much amazing artwork left. Don't miss out!! I will have my new "Jem and the Holograms" limited edition screen printed poster, on hologram paper... available for sale at the gallery! 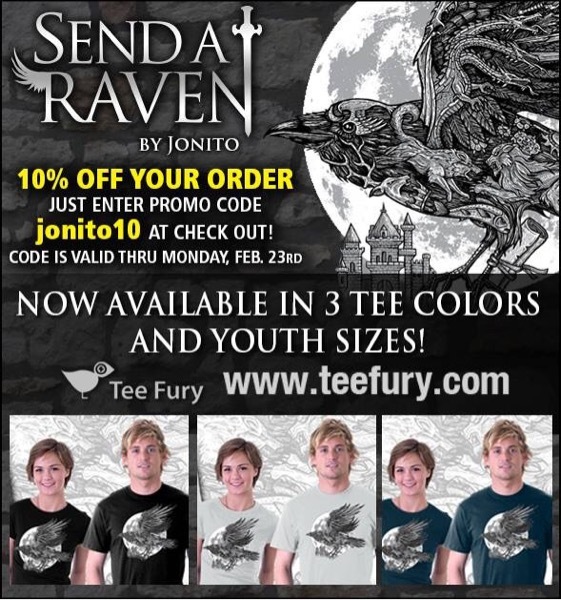 Hey everyone... My Send a Raven tee is 10% off thru Monday... And now comes in 3 color choices and youth sizes!! We had a great time at this year's ‪#‎albuquerquecomiccon‬ Got to see many amazing friends, talented cosplayers and artists! A huge thank you to everyone who came by our booth to support us this weekend!!! DBH - FREE SHIPPING SALE! Hey everyone I've got my Ice and Fire designs on another tee site today... and I'm having a 30% sale on selected posters in my store. Thanks for the support!! We are all set up and ready to go! I COULD USE YOUR VOTE!